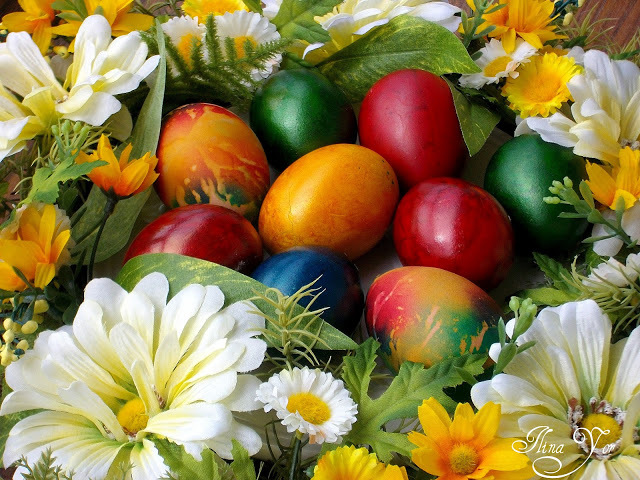 This year Orthodox Easter in Bulgaria falls on May, 5. This is one of the most important celebrations of the year and the most significant feast in the Orthodox Church calendar. This year it falls much later than the Catholic Easter. The Bulgarian name for Easter is ‘Velikden,’ which means ‘Great Day’ and the Bulgarians certainly put a lot of effort into making it a large family celebration. Citizens and guests of Veliko Tarnovo will celebrate the coming Orthodox Easter holiday on the historic Tsarevets Castle. The midnight mass will be held in the restored Patriarch Church (at the very top of the hill) at 11:30 pm on May 4. The service will end with the ringing of all Tsarevets bells and fireworks. Bulgaria is an Orthodox country and the Church here uses the Julian calendar, and not the Gregorian calendar, recognized worldwide as the official civil calendar. Easter is celebrated over four days starting on Good Friday (called Razpeti Petak in Bulgarian or Crucified Friday) until Easter Monday, which is a bank holiday. Bulgarian homes are often decorated with coloured eggs, one of which must always be bright red to represent the blood shed by Jesus Christ on the cross. Preparations for Easter start the week before with the boiling and painting of hen’s eggs and baking of the traditional Easter bread ‘kozunak’. Bulgarians swap eggs and kozunak with friends and family on Easter Sunday. Some egg tapping is also observed and it is believed that whoever wins will be lucky and healthy all year round. Most people invite close family members over for lunch. Traditionally, Bulgarians would have delicious dishes like roast lamb, drob sarma (traditional dish made with chopped lamb or calf’s liver and rice, topped with a savoury egg custard known as kalifka) and wine kebab. And most of all, everyone you meet greets you with a Happy Easter, Chestit Velikden!